After a gearbox failure on Sep 24 in the English Canal 57 miles south of Plymouth with 4.726 tons fertilizer bound to Sevilla on board, the British tug "MTS Indus" (IMO: 8884830) took the vessel in tow in pos. 49 31 06 N 004 00 06 W at 8 a.m. bound to Fowey. The ship initially was headed from Gothenburg to Sevilla, ETA Sep 27, but had suffered an engine breakdown. It arrived off Fowey on Sep 25 at 8 a.m., and the intention was to take it alongside on Sep 26 at 6 a.m. The "Arklow Resolve" has meanwhile been released and resumed its voyage to Cork. 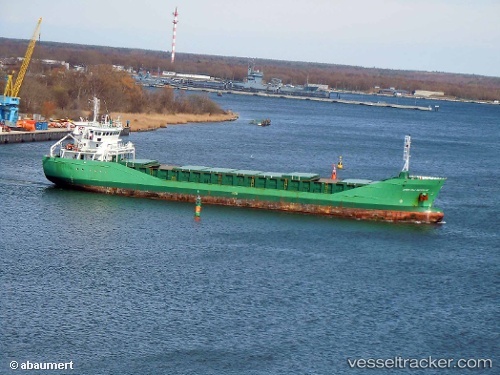 The vessel reached the Kiel Canal on Mar 31 around midnight coming from Denmark and passed the Brunsbuettel lock on its way to Cork on Apr 1 at 8 a.m.